Add KFIs IM810 Stack Chair to your lecture hall and provide comfortable seating without breaking your budget. 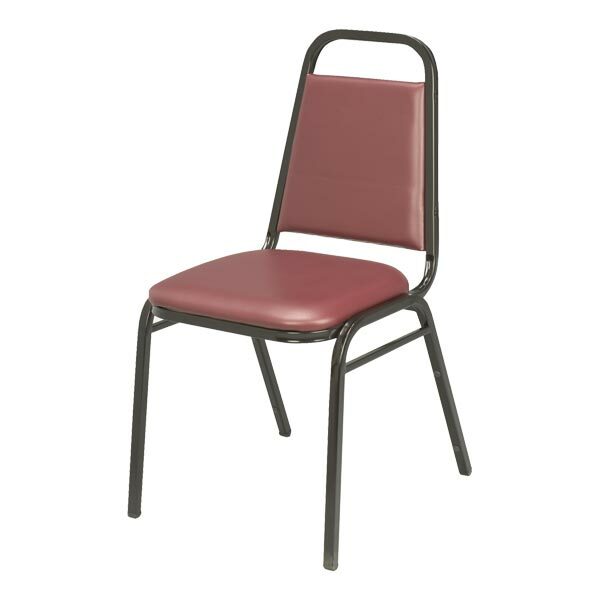 The affordable stack chair has a strong, 18-gauge steel frame and a rear leg bar for extra support. Stacking bumpers help prevent scratches on the black powder coat frame. Choose attractive black, burgundy or navy blue vinyl for the 1 upholstered seat and back.